The UK Government must make a commitment that the UK will not leave the European Union without a "comprehensive agreement" in place, the Church of Scotland has said. Rev Dr Richard Frazer, convener of the Church and Society Council, said a no deal scenario would be "reckless" and cause damage to the nations of the UK for generations to come. He said the Westminster Parliament and UK Government must look beyond party politics and maintaining or gaining power and focus first and foremost on the good of the country and everyone who lives here. The minister said both bodies must “work actively towards consensus in all parts of the UK” about the future relationship with the EU and use whatever mechanisms are necessary to create the time for this to happen. 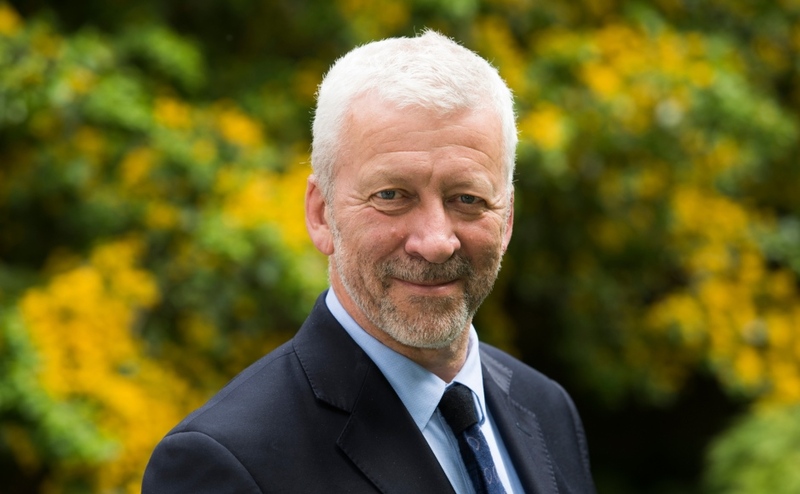 Dr Frazer has released a statement and a prayer following a vote in the House of Commons which saw Prime Minister Theresa May’s Brexit deal rejected by 432 to 202. “Following today’s vote to reject the EU Withdrawal Agreement, the Church of Scotland recognises that we, as a society, are divided. "The UK Government has been unable to reach a deal with the EU that the UK Parliament is ready to accept and there is no clear alternative on the table. "However, it is not just within the UK Parliament where there is a lack of agreement. "Many of our communities are also divided and, indeed, as individuals, many of us feel pulled in different directions about what is best for our society and for our families. “We must find a way to move forward that respects the beliefs and needs of everyone in the UK and moves away from the current view in which different groups are described in opposition to one other. “We need a much more respectful dialogue, one which is based on listening attentively rather than shouting louder. “The Westminster Parliament and UK Government must look beyond party politics and maintaining or gaining power and focus first and foremost on the good of the country and everyone who lives here. “Reconciliation across our divided society needs a different approach; one in which we can take a deliberately slower and more thoughtful approach to discerning our future relationship with the EU. “Decisions about the nature of our relationship with the EU will have consequences for generations to come. “Britain has been an integral part of the EU and its institutions for over 40 years so the UK’s departure will be a significant change for all concerned, in the UK, in other parts of Europe and beyond. “European countries are our closest neighbours and it is imperative that we are able to work and live alongside them. “We must avoid leaving the EU without a deal; to do so represents a loss of good faith with our closest neighbours on which we depend for our common good. “Regardless of what happens next, the UK should actively choose to remain a generous and committed member of the international community encouraging people and ideas to move freely. “Isolation and separation are not in anyone’s interests, particularly in a world where many of the problems we face, including climate change, migration, violence and economic turbulence, must be addressed together. “Isolationism tends to breed fear, misunderstanding and hatred and we must do all we can to avoid these taking root. “The Church of Scotland calls on the Parliament and Government to make a commitment not to withdraw from the EU without a comprehensive agreement in place. “To do so would be reckless not only in the short-term but would damage our ways of relating to one another for generations to come. “Furthermore, the Church calls on the UK Parliament and Government to work actively towards consensus in all parts of the UK about our future relationship with the EU and to use whatever mechanisms are necessary to create the time for this to happen. “That will also involve leadership and the putting aside of party politics and sectional interests by others as well. “What we do, and how we do it, over these coming weeks will have an impact not just for the next few years but for generations to come. “It is therefore vital that what we do, we do deliberately focused on building consensus and relationships. “The Church is called to be a community of prayer, one which brings our own weakness and divisions before the God who we believe made and loves all creation. “In the coming weeks and months, we are committed – in every part of Scotland – to praying for those who hold weighty responsibilities in these times.